Novak Djokovic beat Australia's John Millman 6-3, 6-4, 6-4 in the US Open quarter-final on Wednesday. But the straight sets win didn't come easy. Millman showed great tenacity before going down in the searing heat and humidity of New York. 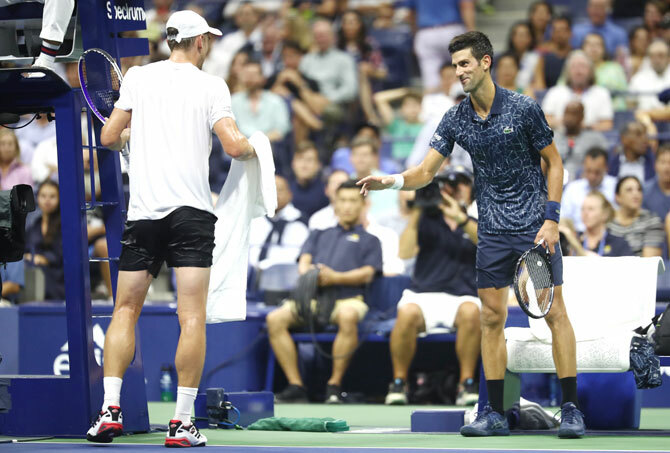 The humidity was so high that Millman had to take an unscheduled break to change his kit -- his shorts in particular as he was unable to put the ball in his pocket. This happened when both players were locked at 2-2 in the second set and Djokovic seemed to be enjoying the unscheduled break. “I was struggling. He was struggling,” Djokovic said after the match.